A hospital has closed its neo-natal unit to new admissions following the death of a baby. The premature baby died in December after developing an infection from aspergillus, a common airborne fungus. 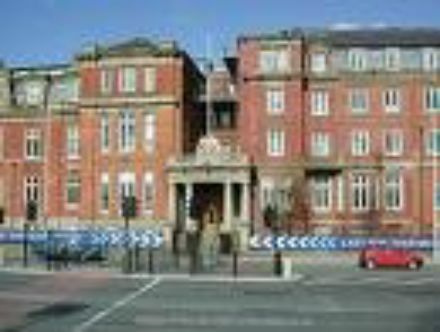 Salford Royal Hospital has closed the unit to admissions of pre-term babies as a precautionary measure. The cause of death for the child has not yet been established, but health chiefs closed their doors to admissions from other hospitals after a second baby developed signs of the same condition last week. It is understood there were 17 babies on the special care unit when the decision was made and they are still being cared for by specialist staff. The maternity unit at the hospital remains open as normal. Dr Michael Robinson, senior consultant neonatologist, said: "Pre-term babies are more susceptible to developing infections because of their immaturity and we continue to do all that we can to reduce these. "When a second infection occurred within two months of the first, we took further advice and are embarking upon a range of investigations and precautionary measures to ascertain whether there are any common contributory factors. "As a temporary measure, we have closed the unit to admissions of pre-term babies and are currently monitoring the situation closely." The fungal disease is usually harmless but can worsen asthmas and other allergies and cause deadly infections in leukaemia and bone-marrow transplant patients. Why not take a look at our X-static — the Silver fibre mattress! with Coolmax Active which prevent bacteria on baby's mattress.